FINALS UPDATE: Aquarius (1.1) and The Big Bang Theory (R) (1.5) adjusted up. NBC's summer drama Aquarius kicked off with 5.7 million viewers and a 1.0 demo rating. This is not awful by summer standards, and the '60s-set drama didn't skew that much older than its Dateline lead-in (6.4 million viewers and a 1.2). However, the half-hour breakdowns don't bode well for the future, as it went 1.3 -> 1.0 -> 1.0 -> 0.9 over the four 30-minute segments. Also, NBA Finals competition looms next week, and there's the fact that anyone who's truly interested can watch future episodes online now. On Fox, Wayward Pines (1.2) held onto its week-two spike and beat Aquarius head-to-head, getting an assist from the return of Bones (1.2) for a run of summer originals. Bones had its best rating since the first spring episode, perhaps benefiting from lightweight competition. Two more hours of 500 Questions wrapped up the season in typical fashion, averaging a 1.0 in the 8:00 hour and 1.1 at 9:00. CBS' repeat of The Big Bang Theory (1.4) was Thursday's top program but dropped a couple tenths from last week. Before it premiered, Grimm seemed like one of the season's least likely successes. It would join the sure-to-be-low-rated final season of Chuck on the usually deadly Friday night. And to make matters worse, a rain delay pushed Game 7 of the World Series to the Friday on which Grimm was premiering. But somehow, Grimm attracted an impressive Friday crowd. Even with Chuck opening at a lousy 1.0, Grimm doubled its lead-in and opened with 6.56 million viewers and a 2.1 demo on 10/28/11. The show dropped to 1.8 and then 1.6 the next two weeks, but it was pretty stable from there, making it an improbably decent player by Friday standards that did even better in Plus the next couple seasons. Grimm was a pleasant enough surprise in a bad season one situation that NBC wanted to see if there was potential for something even bigger. The show began season two on Monday, starting its season the day after the Summer Olympics ended in late August. Though it had a solid 2.0 on this night, it was down to 1.5 by the end of the four episode run, no better than its usual Friday delivery. It got another weeknight berth at the end of season two, replacing reality megabomb Ready for Love on Tuesday after The Voice. Its upper-1's in this spot were a little better than average, but not better enough to really justify the big lead-in. The moral of this story was that Grimm was best utilized on Friday. Over the next two seasons, NBC tried putting more compatible pieces around their Friday success. Co-productions Dracula and Hannibal occupied the 10/9c hour after Grimm in season three, and the network swung even bigger with Constantine in season four. None of these shows ended up resonating, but don't blame Grimm; it was basically even year-to-year in Plus in season three and through early season four. Once Constantine was over, so was NBC with Grimm as a companion for new dramas. The show was shoved to 8/7c in spring 2015 so the network could air two-hour Dateline episodes. It dropped to around 1.0 for most of this run, making season four's year-to-year trend look a good bit worse than it was before the move. The 0.9 on 5/1/15 was a new series low, and the lowest Plus since a 1.2 late in season one. And it added several 0.8s during the fifth season. The 2015 upfront announcement had Grimm back at 9/8c, but no longer helping out a new drama. Instead, there were comedies at 8:00 and Dateline at 10:00, and Grimm took another big dip in season five. It shouldn't be assumed Grimm will never pair with a new drama again; the network could always throw a cheap straight-to-series and/or co-production show there eventually. But the treatment late in season four suggests the network now sees Grimm as a show that simply delivers reasonable Friday ratings as a standalone. However, in the final season, it was back to leading into a drama newbie one last time with the limited series Emerald City. Again, that new show did not go well, but Grimm itself held up nicely enough in the 8:00 hour. The Question, Thursday 5/28/15: Is This the Dawning of the Age of Aquarius? NBC begins the scripted portion of its summer season with tonight's two-hour premiere of Aquarius, a David Duchovny drama about the Charles Manson saga in the 1960s. The show has gotten some industry attention because of NBC's decision to mimic the streaming service model by releasing the entire season online. But this won't happen until after tonight's premiere, so it shouldn't be a negative for tonight. The whole thing was probably just a play for attention, but one that the casual viewer is unlikely to notice. FINALS UPDATE: The night's two biggest winners, MasterChef (1.6) and The Briefcase (1.4), each picked up another tenth in finals. CBS got into the summer original game with Wednesday 8/7c reality series The Briefcase (1.3), which had one of the network's more promising starts in this role that bridges the end of the regular season with the start of Big Brother. It was even with the 2012 premiere of Dogs in the City (1.3) and well above 2013's debut of The American Baking Competition (1.0). Fox had a more middling debut from its own new entry, the 9/8c reality series Bullseye (1.1). But they did have a major silver lining in that for the second straight year, MasterChef (1.5) shook off a bad premiere rating to grow significantly in week two. Even this point is down more than average year-to-year (it grew to 1.8 in week two of last season), but the season may not be in as much trouble as it appeared last week. The penultimate 500 Questions (1.0) inched down for ABC, while NBC had modest interest for an I Can Do That encore (0.7) and the two-hour iHeartRadio Country Festival (1.0). NBC kicked off another season of America's Got Talent (2.6) with a slightly larger-than-average drop from last year's 3.0 premiere. It also had a decent launch from unscripted lead-out I Can Do That (1.8), which was an improvement on last season's premiere of The Night Shift (1.6). 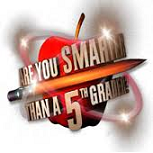 On Fox, there was very little interest in the return of Are You Smarter Than a 5th Grader? (0.8), which only about matched the Plus it was doing for its last regular season run on Friday in 2008-09. Hell's Kitchen (1.1) also slumped. ABC had another OK result from 500 Questions (1.1), which handily beat 5th Grader at 8/7c. But the two-hour return of Extreme Weight Loss (0.9) was very weak, down a massive 31% from last year's premiere. And the CW began a three-week summer run of straggling originals for iZombie (0.6). Like back in week four, the show was even week-to-week despite not having an original The Flash lead-in, a much more promising look than the usual post-Flash delivery. New Girl can't be called the biggest breakthrough of the 2011 premiere week, not when Ashton Kutcher was posting a 10.7 demo rating on Two and a Half Men the night before. But in terms of sheer surprise factor, the premiere of New Girl was not far behind, one of the biggest shows of initial interest in a comedy in recent memory. It opened with 10.28 million viewers and a massive 4.8 demo rating, building big on its 4.0 lead-in from Glee. It followed this up with a very promising post-premiere hold, taking a single-digit drop to 4.5 in week two and another small drop to 4.3 in week three. It looked like there was true potential for a smash here. And then... the show disappeared for a month. Great as New Girl had been doing, Fox had a much more expensive gamble on Wednesday/Thursday in the new reality series The X Factor. A long baseball interruption meant not everything could keep the lights on through October, and Fox opted to keep running The X Factor by giving it some Tuesday airings. New Girl returned on November 1 with a 3.6, down over 15% from its previous airing, and it would never sniff at those early heights again. New Girl held onto mid-3 ratings for the next nine episodes or so, but eventually it headed down alongside its Glee lead-in, through the low 3's and the 2's to end season one. With Glee clearly past its prime, Fox decided New Girl was the more promising Tuesday piece going forward and tried building a two-hour comedy block around it. New Girl quickly dropped into the low 2's early in season two, surrounded by newbies Ben and Kate and The Mindy Project that could never really attract much interest. Once again, it could never recover the audience lost in those weeks, even as the 8:00 hour was improved the next season with newbie Brooklyn Nine-Nine. Since the fall 2012 comedy night's failure, Fox has been only occasionally committed to a two-hour Tuesday comedy block. A pairing with Hell's Kitchen late in season two went all right, but later New Girl companions have been far worse. In February 2014, the network tried to rekindle the once-potent pairing between Glee and New Girl, but Glee was so beaten down at this point that it was an utter disaster for all involved. The nightmare only continued early in season four as New Girl had to lead out of reality flop Utopia. The late fall and winter finally brought an overachieving companion to New Girl in the reality series MasterChef Junior, which helped New Girl considerably reduce the year-to-year decline across the second half of season four. The ad rates have always suggested that New Girl is a much more valuable show than its 18-49 ratings suggest, and it's never gotten into truly awful territory even in 18-49 ratings. But they were low enough in season four that New Girl missed out on the fall schedule for season five. However, it held up quite well in more difficult situations in season five. It was close to even in Plus again for season six, but in arguably easier timeslots (avoiding the late spring this time), but was still able to squeak out one last renewal for a shortened final season. That final season, aired over six weeks late in the spring of 2018, was a disaster in the ratings. It started below any rating from the first six seasons and dropped as low as a few 0.5's. FINALS UPDATE: 2 Broke Girls (1.1) inched up. History had some older interest but a modest demo rating for the premiere of miniseries Texas Rising, which averaged just over 4 million viewers and a 0.6 A18-49. NBC began its summer season with the premiere of American Ninja Warrior (1.8), whose growth in recent seasons has officially made it a part of the summer elite. This rating was up two tenths from last year's 1.6 Memorial Day premiere, though last year it rose from there and ended up averaging a 1.8 for the season. Ninja led into a middling premiere for the latest Bear Grylls reality series The Island (1.2), which was a bit behind the debut of Grylls' Running Wild (1.4) in July last year. ABC was the only other network in originals, as game show event 500 Questions (1.1) was back in originals after a couple nights off and rose to its best rating since the premiere on Wednesday. It was of no help to The Bachelorette (1.6), which took another big Memorial Day drop (but was still even year-to-year). In repeat land, CBS' regular season lineup (0.8) led by 2 Broke Girls (1.0) and Mike and Molly (1.0) edged Fox's encore of the two-hour MasterChef premiere (0.7). Saturday saw a couple decent sports results, as NBC's Game 4 of the NHL Western Conference Finals (0.9) was up a tenth from the year ago NBC game, while Fox opened its summer Baseball Night in America franchise (0.6) up two tenths from last year's premiere (and tying last year's season high). Sunday saw NASCAR's Coca-Cola 600 (1.4) down a couple tenths year-to-year. Memorial Sunday is far less-viewed than any Sunday in the regular season, which meant originals of A.D. The Bible Continues (0.7), American Odyssey (0.4) and Battle Creek (0.6) did "well" to stay kinda steady. HBO's Game of Thrones was not so lucky in plummeting to a 2.5, the show's lowest rating since season three. It's hard for a new comedy to ask for a better lead-in than the one 2 Broke Girls got. On the opening Monday of the 2011-12 season, CBS posted an absolutely ridiculous 10.7 demo rating for the debut of Ashton Kutcher on Two and a Half Men, and they wisely used that audience to funnel into the newbie 2 Broke Girls at 9:30, which held onto 19.37 million viewers and a 7.1 rating. It may not have held in the sevens, but what was left for the move to 8:30 was enough to make 2BG a bonafide sensation. The show built on its 8/7c lead-in from a stronger-than-ever How I Met Your Mother almost every week, which was good for consistent mid-4's in the fall, drifting down into the mid-3's as the block came back to earth late in the season. The 180 A18-49+ for the season made 2 Broke Girls the biggest new comedy since the inflated Friends lead-outs in the early aughts. Nothing else in the last decade has come close. At the start of season two, CBS moved 2 Broke Girls to the vaunted Monday 9/8c timeslot that had belonged to only two shows (Everybody Loves Raymond and Two and a Half Men) over the previous 14 seasons. 2BG didn't get anything like the sophomore bounce CBS was probably hoping for, but it had a pretty good run of mostly upper 3's after CBS finally pulled its very weak 8:30 lead-in Partners. But the show tailed off to an alarming degree in the spring, dropping to 3.0 or lower for the last six episodes of the season. It got even worse early in season three, which only began at a 2.8 and then quickly dove into the low-2's when 2BG got a very weak lead-in from newbie We Are Men. CBS took a surprisingly drastic measure in resolving its Monday crisis; they actually moved 2 Broke Girls back to 8:30, giving it the direct How I Met Your Mother lead-in while Mike and Molly took over at 9/8c. Being back at 8:30 helped juice 2 Broke Girls' raw numbers somewhat. It settled at a 2.7 for most of the late fall/winter and even went as high as 3.0 on a couple occasions. But the show's season one dynamic was long gone. Instead of building from Mother, it was down by at least 10%. And it got even worse in the last few weeks of HIMYM's run, when 2 Broke Girls dropped all the way to 2.2 and 2.3 (with Mother at 2.9/3.5). After How I Met Your Mother ended, 2 Broke Girls took the 8/7c timeslot for its last four episodes of season three. The last post-HIMYM performances had lowered expectations, but 2BG exceeded them by delivering that same low-2's audience at 8/7c. It stayed in that area for most of season four as well, allowing the show to pull off the smallest drop in series history even in a more difficult situation. It's clear now that 2 Broke Girls is not the show CBS thought it was when it made it the Monday 9/8c anchor, and that reality has played at least some part in why CBS is shying away from comedies lately. But season four seemed like the first time that this show really found a consistent level, and it was still a very respectable one. Apparently it wasn't enough to overcome CBS' scheduling need for the new drama Supergirl, which is taking over the Monday 8/7c hour in the late fall. 2 Broke Girls may have outrated all but the top four CBS dramas, but the network couldn't find a fall slot for it. Just two years after it was the network's Monday centerpiece, 2 Broke Girls was left to twist in the midseason wind. 2BG held up pretty well as a utility player in season five, with a couple stints in the Thursday 9:30 slot sandwiching a Wednesday lead-off run between seasons of Survivor. It declined once again relative to the league average, but this was one of its more forgivable seasons considering all the movement. Though it looked like it might be transitioning into a Rules of Engagement-esque utility player role, CBS suddenly went comedy crazy at the 2016 upfront, so 2 Broke made its return to that Monday 9:00 slot where things initially went wrong. In what was a largely mediocre Monday comedy lineup, 2 Broke Girls ended up doing at least as well as some of the other players. However, it was still shuffled from 9:00 to 9:30 at midseason to give a better timeslot to newbie Superior Donuts. It ended its run with an unceremonious trio of 1.0's at 9:30, and its cancellation was not announced until a month after the finale. The War of 18-49, Are You Smarter Than a 5th Grader? ABC's Scandal opened its run as a midseason replacement with just a seven-episode order. It was saved for the last two months of the TV season and given the cushy timeslot after Thursday powerhouse Grey's Anatomy. It premiered at a very modest 7.33 million viewers and 2.0 A18-49 rating on 4/5/2012. This was actually below all 16 Thursday episodes of previous occupant Private Practice that season, and it was pretty mediocre retention of its lead-in from Grey's Anatomy (2.9). Scandal needed to hold that premiere rating very well to have a shot, and it did just that, matching that 2.0 rating in each of the next three airings. But even that great hold was met with some skepticism, as the Grey's Anatomy lead-in picked up considerably (to 3.3) starting in week two. Scandal inched down to 1.9 in weeks five and six and could have lost out for renewal to fellow midseason newbie GCB (which was just barely lower with a weaker lead-in from Desperate Housewives). After toiling around 2.0 for six weeks early in season two, something finally clicked for Scandal at the end of its fall 2012 run. The show grew to a new season high 2.2 on November 29, then a new series high 2.5 the next week. It rose to 2.8 in its return from holiday hiatus on January 10, 2013 and spent most of that winter and spring in the 2.6-2.8 range. And once again, it had a very strong finish to a run of episodes; it exploded to 3.2 for the penultimate episode of season two, building on its Grey's lead-in for the first time, and it stayed there for the season finale. Those 3.2's to end season two kicked off a year and a half across which Scandal was the top drama on broadcast TV. In season three, it had some of the best historical-adjusted ratings for a 10:00 show since the heydays of ER and CSI: Miami. Throughout season three and the first half of season four, Scandal mostly hung around 3.0, and it was capable of going much higher for premieres and finales; both the season three premiere (3.6) and the season four premiere (3.8 on 9/25/14) marked new series highs. If anything, the show seemed to be gaining even more steam when it came back early in 2015, as a storyline in which Olivia Pope was kidnapped produced four straight results above 3.0. 'Down' had never really been in Scandal's vocabulary until one nightmarish run in spring 2015. After ending its February run on a stellar 3.3, it returned to three consecutive three-tenth drops, and two weeks after that it fell all the way to 2.1 on 4/2/15. This was a whooping 1.2 points of slippage in just five episodes. It made a rather impressive recovery early in fall 2015, opening the season by getting all the way back to a 3.3. But many more drops soon followed, and there was a lot less interest from the start when it returned for the spring half of the season. Even though it was being compared against that spring 2015 collapse, its drops still accelerated in spring 2016, culminating with a new low 1.5 a couple times late in the season. The show took another big dip in season six, but this one was a little more defensible because it sat out the fall months, and its year-to-year comparisons in the spring were actually pretty close to even in Plus. Despite returning to the fall, Scandal had a pretty underwhelming final season, premiering to a 1.4 and spending most of the fall and winter in the low-1's (while its Grey's lead-in was doing high-1's and low-2's). It returned to the 10/9c hour for the last four episodes and actually got back to the Plus series lows that it had still never touched since season one, though it had a nice finale spike back to 1.3. That Terrence Howard sure knows how to bring viewers back for week two! Just like his megahit Empire from four months ago, Wayward Pines (1.2) was on the upswing in week two, picking up two tenths from last week's debut. And its lead-in, an encore of the pilot (0.8), was just two tenths behind that episode's first-run rating a week ago. Certainly at least some of this can be explained away by a drastic decrease in competition (it faced Scandal and The Blacklist finales last week), but this at least opens the possibility that there could be some heat here. The night's other original series 500 Questions (1.0) had a reasonable second outing hold, staying in the 1's for all four half-hours. But that seems unlikely to continue for tonight's hour, up against low holiday Friday viewing levels. The only other original programming was NBC's little-watched three-hour charity event Red Nose Day (0.8). FINALS UPDATE: Finals upticks for Survivor (2.3) and Modern Family (2.3) kept them tied as the top program on the last day of the season. On the last day of the 2014-15 regular season, ABC premiered a couple more summer series, the new game show 500 Questions (1.2) at 8/7c and returnee Celebrity Wife Swap (1.0) at 10/9c. For 500 Questions, this is a pretty reasonable start by summer filler standards, though it will be a challenge to hold on well since much of this seven-night run will be positioned around the low-viewed Memorial Day weekend. Wife Swap, meanwhile, was even with the first episode of its 2013-14 run, which aired after Trophy Wife in mid-April (though the show usually did better in the summer with an Extreme Weight Loss lead-in). The downside for ABC was that these incompatible surroundings brought down the finales of Modern Family (2.2) and Black-ish (1.6) to a pretty ridiculous degree. This marked the first time Modern ever went below that 2.5 on Thanksgiving Eve in season one, and it wasn't even close. CBS wrapped up Survivor (2.2) with no heat for the two-hour finale and a 1.8 for the reunion at 10:00. Opposite Survivor, Fox had a weak two-hour return from summer staple MasterChef (1.2). This was 20% behind the already low 1.5 that began last season on Memorial Day; that 1.5 ended up being the outright lowest point of the season, and it was consistently around 2.0 in the second half of the season. So unless this number was similarly depressed by the Survivor competition, the franchise is setting up for a very ugly year-to-year trend. NBC had the only big four dramas with a slightly up The Mysteries of Laura (1.1) and slightly down Law and Order: SVU (1.4) and Chicago PD (1.4). CW's finale of Supernatural (0.7) was even despite a repeat lead-in (0.3). FINALS UPDATE: The CW's shows indeed ended up at last week's 1.5/0.6 Also, The Voice (2.9) went up, bringing it to -12% year-to-year. And the 8:00 Hell's Kitchen went up to put both hours at 1.3. Just like last year, head-to-head two-hour finales from The Voice (2.8) and Dancing with the Stars (2.3) limited the shows' ability to spike relative to the Monday finales. Still, it was a season high for DWTS (maybe an outright one after finals) and The Voice's best rating in over a month. On a year-to-year basis, The Voice will end up down in the low-to-mid teens (actually one of its better points in recent weeks), while DWTS was preliminarily down just 0.1. ABC also offered up an extra hour of The Bachelorette (1.9) at 8/7c, which edged NBC's The Voice recap (1.6). Despite the reality logjam, two hours of Hell's Kitchen on Fox (1.2/1.3) were unfazed. And the only scripted originals came on the CW, with the finale of The Flash (1.4) leading into iZombie (0.7). It's quite possible these shows will end up even with last week's respective 1.5/0.6 after accounting for The Flash running a couple minutes into the 9:00 hour. FINALS UPDATE: The Simpsons (1.3) and The Billboard Music Awards (3.8) ticked up. AMC's series finale of Mad Men (1.08) was more than 50% ahead of the show's average over the past couple years. The last time it had a higher rating was the season six premiere on 4/7/13 (1.14). ABC beat the combined broadcast competition on the last Sunday of the season with the Billboard Music Awards (3.7), up a couple tenths from last year to the show's biggest rating since 2003. Leading in was Tom Bergeron's finale on America's Funniest Home Videos (1.4), which did no better than its usual solid late-season delivery. NBC's A.D. The Bible Continues (0.8) and American Odyssey (0.4) and two hours of CBS' Battle Creek (0.6/0.6) all inched down again. With ABC airing an extra hour of The Bachelorette on Tuesday, the usual DWTS finale night recap (0.5) got pushed to Saturday, where it did less than a third of last spring's Tuesday rating (1.7). It aired alongside a little-watched Billboard Music Awards preview (0.4). Cable once again had the top Saturday network, this time with NASCAR on Fox Sports 1 (0.82). FINALS UPDATE: The Amazing Race (1.1) once again dodged a new season low by upticking in the finals. Probably due to preemptions, The Messengers adjusted down to its usual 0.2. It was a promising third and final episode of this initial Beyond the Tank run (1.5), as it tied its Shark Tank (1.5) lead-in and inched up week-to-week. NBC had a decent finale from Grimm (1.1), which got this high for only the third time in its nine episodes at 8/7c. Meanwhile, CBS finished up The Amazing Race (1.0) on what would be a new season low, though it's had a prelim 1.0 and adjusted up earlier in the season. CBS then did no better than procedural repeats with a 0.6/0.7 for two hours of an Academy of Country Music special. After spiking in its return to 8/7c, CW's Whose Line Is It Anyway? (0.3) gave it all back in its second try at the slot. The Messengers (0.3) went up a tick. FINALS UPDATE: DWTS (2.3), Mike and Molly (1.9) and Stalker (1.3) adjusted up. It was a promising two-hour start for the latest season of The Bachelorette (2.1), which beat the show's last two premiere ratings. Last summer's Bachelorette only got as high as 2.1 for the After the Final Rose following the finale. It led out of the performance finale of Dancing with the Stars (2.2), which was even with last week's two-hour episode. CBS aired its last scripted original episodes of the regular season to surprisingly good results, as 2 Broke Girls (2.0) shot well ahead of its other deliveries since the Scorpion finale. Mike and Molly (1.8) and NCIS: Los Angeles (1.4) also went out on an up note, though the Stalker series finale (1.2) inched down. The final performance edition of The Voice (2.6) was up two tenths week-to-week (if still down almost 20% year-to-year), but The Night Shift (1.2) didn't benefit. Fox's The Following went out with another two-hour edition (1.0/0.9). FINALS UPDATE: The Blacklist (1.6) upticked to its highest number in four episodes (albeit still 38% behind last year's post-Voice finale), while Reign (0.3) went down a tenth. Fox's summer drama Wayward Pines opened with 3.8 million viewers and a 1.0 demo rating, matching its lead-in from Bones (1.0) in the demo. While this is certainly an improvement on last year's Gang Related launch (0.9 with a much bigger lead-in and less competition), it's still not enough to label as promising. We'll see what happens when the competition clears out next week. Finale night on the other networks brought a slew of small drama upticks. ABC's TGIT closed up for the summer with Grey's Anatomy (2.2) and Scandal (2.3) each up just a tenth week-to-week, putting Scandal down about a third vs. last year's April finale. The Blacklist (1.5) was up a tenth for NBC, as was CW's The Vampire Diaries (0.7) for Nina Dobrev's final episode. I've compiled the results for our season-long First Two Weeks game... but with a couple shows still in limbo, there are a couple different contingency plans here. 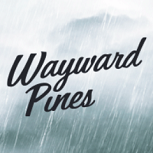 The Question, Thursday 5/14/15: Are Viewers Pining For Wayward Pines? Fox rolls out the first of the summer's new dramas tonight, the 10-episode mystery series Wayward Pines. Perhaps the most interesting thing about this show from an industry perspective is that it stars Terrence Howard, the lead of Fox's recent mega-smash Empire. Wayward Pines was filmed in late 2013 and early 2014, before Howard had even committed to Empire, much less filmed a pilot. But the Wayward Pines promo after the Empire finale still amusingly referred to Pines as Howard's newest project. I don't think Howard will move the needle to a huge degree, but he can't hurt. And the concept seems at least somewhat more appealing than Fox's summer Thursday drama effort last year, the gritty Gang Related which only opened at 0.9. However, Fox has left this show on the shelf for a long time, and nothing on the network has cracked even a 2.0 since the Empire finale. Its lead-in Bones will barely break 1.0, and this premiere date means the show has to face multiple drama season finales, including Scandal and The Blacklist. I think it can build on its Bones lead-in, but only by a bit. Are viewers pining for Wayward Pines? That's The Question for Thursday, May 14, 2015. FINALS UPDATE: The Middle (1.8), Survivor (2.3), SVU (1.6) and American Idol (1.7) went up. Black-ish (2.0), Nashville (1.2) and Supernatural (0.7) went down. The penultimate season of American Idol limped to the finish with just a 1.6 two-hour average. Last year, the show was still capable of spiking in relatively typical Idol fashion for the finale (growing from 2.1 for the penultimate Wednesday to a 2.6 finale). This time, it was up only two tenths week-to-week, though it did grow quite a bit from 8:00 to 9:30 (1.4 -> 1.8). But the overall number was a very hefty 38% behind last year's finale. ABC wrapped up the seasons of its bookend hours with steady The Middle (1.7), The Goldbergs (2.0) and Nashville (1.3). The middle hour, which will return next week, saw slight declines from Modern Family (new season low 2.7) and Black-ish (2.1). NBC got some finale heat from Law and Order: SVU (1.5) and Chicago PD (1.6), while CBS had Survivor (2.2) and another couple 1.2's from CSI: Cyber. Pending a Chicago preemption, the CW's Supernatural (0.8) had its best number since moving back to Wednesday in March, while the finale of Arrow had another 1.0. Last week, I asked "Upfront Questions" to preview each network's fall 2015 schedule. With the schedule now official, here are the "Upfront Answers"! FINALS UPDATE: NCIS (2.0) will have to wait for 2015-16 to drop below a rounded 2.0 for the first time. American Idol (1.3) and The Flash (1.5) also went up a tenth, while iZombie (0.6) was down. ABC's two-hour Agents of SHIELD (1.3) closed season two in surprisingly ugly fashion, dropping to a new series low that was at least two tenths behind what the show has consistently done since returning from hiatus. The Marvel vs. DC crowd will be quick to point out that SHIELD lost outright to The Flash (1.4), which had yet another amazing late-season rating. Fox had a special performance hour of American Idol (1.2) at 9/8c leading out of Hell's Kitchen (1.2). Idol went almost 30% behind last year's 1.7 Tuesday performance finale (which was a week later). For the second straight night, The Voice (2.1) had a minor rebound for NBC, while the one-hour finale of Undateable (1.3) tied last week's live episode and Chicago Fire (1.5) inched down. And CBS closed up shop on Tuesday for the summer with NCIS (1.9) hoping for a finals uptick to avoid its first trip into the ones. NCIS: New Orleans (1.7) narrowly rose, while CBS unloaded another original CSI: Cyber (1.2) at 10/9c. FINALS UPDATE: Once Upon a Time (1.8) adjusted up, though still trailed the year-ago finale by over 20%. Brooklyn Nine-Nine (1.3) also inched up to become the outright biggest Fox program; I think this was the first time it beat its original Simpsons lead-in. There wasn't much finale heat for ABC Sunday; the two-hour season finale of Once Upon a Time was at the 1.7 that has become the show's late-season norm, while the series finale of Revenge (1.3) inched up again (returning it to its typical level from the fall). Fox was consistent but low with The Simpsons (1.2), Brooklyn Nine-Nine (1.2), a repeat of Family Guy (1.2) and a special 9:30 Bob's Burgers (1.2). CBS' The Good Wife finale also hit a 1.2; low as that might sound, it was the show's outright highest rating since it returned from hiatus in March. And NBC's A.D. The Bible Continues (0.9) was not able to make it out of the regular season without dipping below 1.0. Broadcast primetime finally got a taste of the NBA Playoffs, as ABC's Warriors/Grizzlies game (1.9) was just a tenth behind the ABC game on the same night last season. FINALS UPDATE: Shark Tank (1.6) and the second half of Hawaii Five-0 (1.1) adjusted up. Week two of Beyond the Tank (1.4) was down two tenths week-to-week, leading out of a Shark Tank (1.5) that was down a tenth. Just in case the Hawaii Five-0 finale ratings actually mean anything to CBS' decision at this very late stage, it wasn't an ideal way to go out: the two hour finale tied a season low 1.1 in the 9:00 hour and dropped to a 1.0 at 10:00. The Amazing Race, with which Five-0 may be competing for a fall spot, was also at a season low 1.0. The CW quietly pulled Cedric's Barber Battle, and the local programming lead-in significantly benefited an original Whose Line Is It Anyway? (0.5) in its return to 8/7c. But the 8:30 Whose Line? repeat (0.3) and 9/8c drama The Messengers (0.2) didn't show improvement. NBC's Grimm (1.0) inched up from its first 0.9 last week, while Scream (0.4) did significantly worse than Fox's other recent Friday movies. FINALS UPDATE: Dancing with the Stars adjusted up to 2.2, down just a tenth year-to-year. The second half of The Following was also up to put both hours at 1.0. The penultimate performance Monday brought minor rebounds for both The Voice (2.4) and Dancing with the Stars (2.1). DWTS remained at very close to a league average decline year-to-year (it had a 2.3 on this night last year), while The Voice's y2y was -20%, a bit better than last week but still well behind the season trend as a whole. Better lead-ins didn't help the finale of Castle (1.4), down a massive 33% from the year-ago finale, and The Night Shift (1.2). CBS had another low-end post-Scorpion Monday, as 2 Broke Girls (1.6) and Mike and Molly (1.7) were close to even, Stalker was back from a week off with another 1.3, and it dragged NCIS: Los Angeles (1.3) to a preliminary new low. Fox dipped to 1.0 for two hours of recently axed The Following, while The Originals and Jane the Virgin each stayed at 0.5 for their season finales. FINALS UPDATE: The Big Bang Theory (3.7) went up two tenths but was still down 24% vs. last year's finale. Grey's Anatomy (2.1) had a rare downtick. With no NFL Draft and a very rare night at this time of year with no NBA playoffs, CBS' season finale of The Big Bang Theory (3.5) still managed only a minor week-to-week bounceback. And it was a revealing night for The Odd Couple; a 1.8 at 8:30 is bad (will likely be 50% retention or less after finals), and then it dropped to just a 1.5 in the 9:00 hour. It was always pretty clear this show was no Mom, but this was a bad week even by TOC's previous standards. A weaker 9/8c occupant also helped derail the 9:30 TBBT repeat (1.4) and an original Elementary (1.1). On ABC, TGIT got another week removed from the big Grey's Anatomy events and was closer to its late-season norm, though Grey's (2.2) was still a little higher than what it was doing a month or so ago. Scandal (2.2) remained pretty modest. After an ugly week vs. the NFL Draft, several of last week's dramas mercifully rebounded. The Blacklist (1.4) got some of last week's collapse back even as the installation of a Law and Order: SVU repeat (0.6) brought little improvement at 8/7c. Bones (1.1/1.1) was narrowly up for two original hours, and CW's The Vampire Diaries (0.6) dodged a second straight 0.5. Part two of the upfront preview is the SCHEDULE-centric portion, examining the big-picture scheduling questions each network faces on each night in the final week before its upfront. This post tries to lay out the reasonable possibilities rather than spending a lot of time committing to one, but I am including "Spot's Answer" in each section to try to be a little clearer about where I'm leaning. They're not really "official predictions" (more like a hybrid of predictions/recommendations) but you can consider them that way if you want. FINALS UPDATE: The Goldbergs (2.0), Nashville (1.3) and Arrow (1.0) were up. A big night from Black-ish (2.2) was tempered somewhat, while Criminal Minds (1.8) and American Idol (1.4) looked rather brutal and Supernatural (0.6) also lost a tenth. ABC was toward the lower end with veteran sitcoms The Middle (1.7), The Goldbergs (1.9) and Modern Family (2.9), making an above average Black-ish (2.3) look a lot better by comparison at 9:30. On CBS, Survivor (2.1) was at a preliminary new season low, but it often adjusts up so it may tie last week. Meanwhile, the Criminal Minds (1.9) season finale and CSI: Cyber (1.2) had little/no rebound even against considerably weaker crime dramas on NBC. NBC saw The Mysteries of Laura (0.9) dip into the aughts for just the second time, while Law and Order: SVU (1.2) and Chicago PD (1.4) both had well below-average outings just a week after spiking for the crossover events. American Idol (1.5) gave up a tenth, while the CW had another 0.9/0.7 night with Arrow and Supernatural. FINALS UPDATE: The Voice (2.0) adjusted up while iZombie (0.6) was down a tenth. Even with a fast-hemorrhaging lead-in from The Voice (1.9), a one-hour live episode of NBC's Undateable (1.3) noticeably improved the 9/8c hour week-to-week, up two tenths at 9:00 (1.4) vs. last week's 1.2 Undateable and up four tenths at 9:30 (1.2) vs. last week's One Big Happy. Chicago Fire stayed at its usual 1.6. On CBS, though NCIS (2.0) was even at 8/7c, things completely fell apart from there with NCIS: New Orleans (1.6) tying its series low and Person of Interest (1.1) somehow having a complete meltdown on finale night. That was two tenths behind PoI's previous low! On ABC, Agents of SHIELD posted another relatively normal 1.5 the week after the new Avengers movie, though this one may grade a little better since Dancing with the Stars (1.4) was lower at 8/7c. Forever (1.1) went out with a high-end rating by second half of the season standards. Fox's Hell's Kitchen (1.2) and finale of New Girl (1.1) each ticked up. The CW had another stellar late-season showing from The Flash (1.4) and another 0.7 from iZombie.